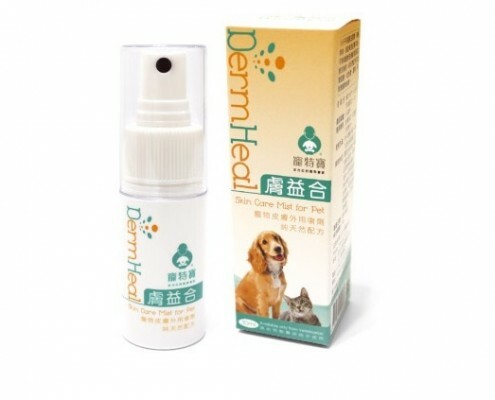 DermHeal is a skin care spray made from small-molecule Lactoferrin, assist in wound recovery and inflammation ease. The natural formula provides the most relieving effect for pets and does not contain any antibiotic, steroid, or alcohol. To take are of wounds more naturally and efficiently. DermHeal is made from natural milk. It is safe even if the pets lick on the site. No alcohol, no irritation. Direction for use: Thoroughly clean the wound and apply twice daily. Storage : Keep out of direct sunlight. 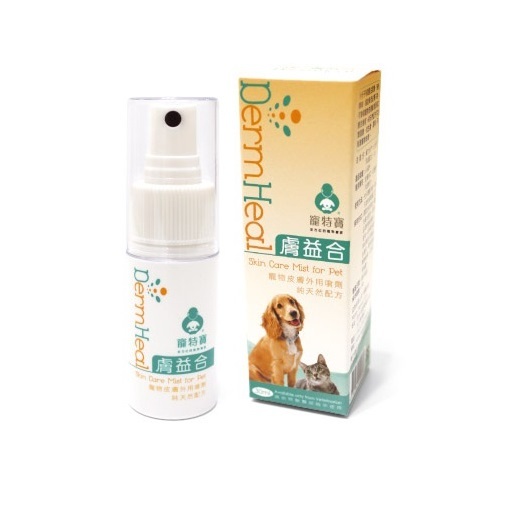 The liquid product nature of DermHeal is slightly viscous; please use warm water to clean the spray head, if you find it hard to spray. Lactoferrin is an iron-binding glycoprotein that belongs to the transferrin family. It is synthesized by glandular epithelial cells and is secreted into body fluids, such as milk, saliva, tears, and mucosal secretions. Lactoferrin promotes skin wound healing by enhancing the initial inflammatory phase. Lactoferrin directly promotes both the formation of granulation tissue and re-epithelialization. It stimulates the proliferation and migration of fibroblasts and keratinocytes. Natural small-molecule lactoferrin, made from milk. Safe if pets lick the site and swallow. No alcohol or antibiotics. No irritation, no stain.